These are our Top 10 Tips for a successful Climb of Mt Kilimanjaro. E-MAIL IAN If you want the best advice out there. 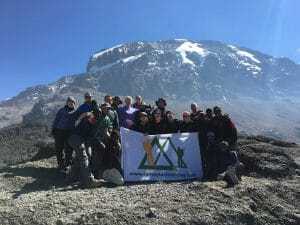 We are a world leader in offering quality Kilimanjaro climbs. Ian has climbed Everest, Lead 30+ treks to Everest. Ian has climbed Kilimanjaro 30+ times to date. Read some REVIEWS. Ian Taylor Trekking have put over 2,000 people on the summit of Kilimanjaro with great success. 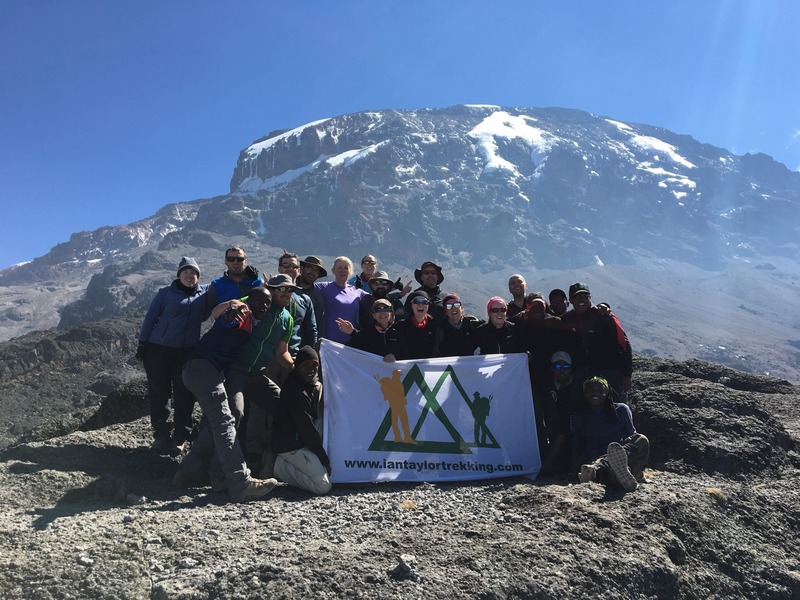 We are a world leader in offering quality, well run climbs up Kilimanjaro. We have amazing food, top chefs, amazing food and Mountain hard wear Trango 4 tents. Our amazing staff have all been with us for 8 years now. They will help you achieve your goal of standing on the roof of Africa and get down safely. If you are considering a climb of Africa’s highest peak, Mount Kilimanjaro, These are our Top 10 Tips for a Successful Climb of Mt Kilimanjaro. Apply them and they will give you the best possible chance of success on the mountain. CLICK HERE and find out all you need to know about climbing Kilimanjaro. 1). Choose the right route for your Kilimanjaro climb. The most important piece of advice I can give you is have a minimum of 8 days on the mountain. If you want to be safe, successful and have the best experience possible. You need an 8 day climb. There are officially seven routes up the mountain, however I would only recommend two of those. One of the biggest problems on Kilimanjaro is people trying to go up the mountain way to quickly, not allowing themselves the necessary time to acclimatize to the low levels of oxygen. I would never step foot on Kilimanjaro with less than a seven day trek and 8 days is best. At 5,895m (19,341feet), Kilimanjaro’s summit is at a high level of altitude and one not to be underestimated. The reason many people choose a shorter trek on Kilimanjaro is because of the costs associated with it. For every extra day you spend on the mountain, the cost go up quite a bit, however, when you are signing up to an adventure like this, in my mind, I would want to do everything possible to be successful and fully enjoy my time on the mountain. If you do not reach your goal because you wanted to save a couple hundred dollars and only do a five day trip, it will cost you a lot more to come back to Tanzania to try again. So, in my opinion, take the 8 day trip up the Lemosho Route. The Lemosho route will give you a safer and more enjoyable experience to high altitude. 2). Train, Train, Train I know that Kilimanjaro is considered a trekking peak, and you do not need any technical training to complete this climb, but that does not mean that you do not need ANY training. Kilimanjaro is a peak that is accessible for most reasonably fit individuals, but you do have to physically prepare your body if you want to fully enjoy your adventure. I would recommend that you spend at least four days a week doing some sort of intense physical exercise for approximately three to four months prior to your starting date of your climb. Personally, I would have spent at least four days a week either walking up hill on a treadmill or walking on a stair-master (stair master is best) for one hour+ building up to 10kg (22lbs) in a backpack on my back. I have always been lucky and lived in a place where I had access to hills to train on the weekends, and I found that this was the greatest training I could get for my climb of Kilimanjaro. I would spend at least one day a week out in the hills or mountains for at least a 4 hour walk and building up to 7 hours in a row. I cannot stress enough how important this was to my training. Having built the muscle strength needed in the hills, when things got tough during the summit night on Kilimanjaro, I had the muscle memory needed to complete the task. If you do not have access to mountains or hills to train on, you can always add extra weight to your backpack and just do longer walks on the treadmill/ Stair master and in the gym. CONTACT US and learn more about what we recommend. 3). Mentally prepare. Depending on your level of comfort with the outdoors, you may need to prepare yourself for life on the mountain. Luckily, I am a lover of the outdoors and very comfortable with the mountain life, including camping, bugs, dirt, baby wipe showers, and going to the toilet outdoors! However, for some who are more comfortable with the four seasons than a campsite, you may need to prepare yourself for what is to come. All accommodation on our Kilimanjaro trips is camping, and sleep is essential when you are on the mountain, so you need to be prepared for 6-8 nights of camping. Obviously, showers are non-existent on the mountain, so the only way to keep you clean is to use baby wipes and a bowl of warm water each day. You do need to prepare yourself for these things, as you do not want to arrive on the mountain and have higher expectations and be disappointed. We do provide chemical toilets on our climbs. 4). Make sure you have the right clothing There are many pieces of gear and clothing that are essential for our trip on Kilimanjaro, and I am not going to go through every piece of gear you need for the trip, I am just going to highlight some of the specific pieces that I found to be essential. First of all, your feet are one of the most important parts of the body to take care of when trekking. Never skimp on footwear when you are going on a trip like Kilimanjaro. Buy a good, sturdy, waterproof pair of trekking boots and make sure that you break them in before you leave for Africa. Number two, buy yourself a good down jacket with at least 650 fill down with more down, but if you can afford it I would stick with a 700 or 750 fill down. Remember that every brand and style is different and if you are questioning your down coat, make sure to ask the advice of a professional before the trip as this piece of gear can be essential during the cold nights and mornings on the mountain. Number three, having both a platypus (i.e, Camel bak brand) water carrier and a Nalgene style plastic bottle. Drinking water is essential on the mountain (See Tip #5) and lower down on the mountain I find that having a Camel bak helps you to drink water without the use of your hands, which usually makes you drink more water as you do not have to stop to get the bottle out and drink water. With that said, a Camel bak is likely to freeze on summit night and higher up on the mountain, and if you do not have an alternative water bottle like a Nalgene, you will not have any access to water. Now those three tips are obviously not the only gear you will need on the trip, but these are three essentials that I would make sure to have in your kit bag. CLICK HERE for our packing video. 5). Hydration is so important while climbing Kilimanjaro If there is one tip that I can give you while on the mountain, it is to make sure that keeping hydrated is one of your top priorities. At higher levels of altitude, your body will dehydrate much quicker than it will at sea level, and you will have to make sure you are drinking plenty of water. I would recommend that you are drinking around five liters of water throughout the day while on the mountain. This is where the different types of water bottles come in handy. My routine on the mountain with regards to water is generally the same daily. Every evening, before I go to bed, I would ask the kitchen staff to fill up my Nalgene bottle full of boiling hot water and that bottle would immediately go into my sleeping bag to keep my feet and body toasty in my tent while I sleep, and then, as that water had been boiled, I would be able to wake up in the morning and immediately begin drinking. I would hope to finish that bottle before we left for the day’s trek, then try and drink another two liters while walking and another two liters at least when we get to camp that afternoon/evening. This process of drinking five liters of water a day can be daunting to many, but I find it to be essential to people’s success on the mountain. 6). Don’t be afraid of a little Headache. You should be taking diamox, unless your doctor says otherwise. There are some alternatives to taking diamox. I hate to say it, but it is almost inevitable that you will get some sort of headache at some stage on the trip. Unfortunately, I suffer from bad headaches at altitude and have had to learn ways to manage them and not let them ruin my experience. One of the best ways to combat these headaches is by listening to the advice of Tip 5; always drink plenty of water while on the mountain. One of the greatest causes of headaches on the mountain is due to dehydration, so drinking water can greatly help to eliminate or lessen your headaches. Another trick that I have found to be helpful is to add a Disprin to my water every morning and another each evening. This will help to slightly thin out your blood and help to reduce headaches caused by the thickening of your blood at altitude. I highly recommend taking Ibuprofen at high altitude. These headaches are completely normal to experience at altitude and they are not something to be too afraid of, however if these headaches get very extreme and limit your ability to think straight, eat, sleep, or walk in the mountains, you may need to seek medical attention. 7). Slow and steady wins the race. When taking on a challenge like Kilimanjaro, or any long trek/climb, you have to remember that it is a marathon, not a sprint. Acclimatization to the low levels of oxygen in the mountains requires you to take your time, to slowly get your body used to lack of oxygen. This is absolutely key to your success on the mountain. There is never a time on Kilimanjaro where you should need to walk at a fast pace. During the majority of the trek (excluding summit night), you should only be walking at a pace that you can carry on a conversation with others, without feeling too much exertion physically. Obviously, there are tougher sections throughout the trek where you may need to stop talking and catch your breath, however you always want to try and keep your pace to a snail’s pace, not a rabbit’s! On the summit night, this will be different. You will still be walking at a very slow pace, taking a rest step in-between each step, however, it is highly unlikely that you will have the energy or the extra breath to carry on a conversation. During my summit of Kilimanjaro, I just keep reminding myself to take deep breaths with each step in through the nose and out through the mouth. This keeps my pace at a regulated speed and keeps my mind focused on getting in that much needed oxygen to succeed. 8). Bring some summit treats. For many people, including myself, it can be very difficult to eat at altitude. Even with all of the physical energy you are exerting, for some reason, food does not always sound good when you are at altitude. I am not sure if it is nerves of the unexpected for me or the altitude at all, but forcing myself to eat on the mountain can be a daunting task. The main thing to remember regarding this is that you are burning a TON of calories while trekking on Kilimanjaro and your body needs to replenish these calories if you want the best possible chance of summiting. Personally, I use Clif shot blocks along with some trail mix on summit night. It is so important to eat, whatever it may be, to get in these much needed calories. This is why I always pack a few extra goodies in my bag before leaving home! Having some familiar food favorites on the mountain can be just the push you need on tough days to get through them. I have been known to bring anything from protein bars to peanut butter in my pack and I always have a special chocolate bar stashed away for the summit night, when I might need an extra kick! Don’t let this scare you into thinking that you will not have enough food to eat on the mountain”¦ this is far from the reality. You will be overwhelmed by the plethora of food on offer every meal, everything from pancakes to soup to maybe a special treat of chicken wings! There is always plenty of food to choose from on the mountain, but when your tummy is having a hard time with the altitude, those familiar snacks may be all you can get down. So remember, within reason (you definitely do not want to be carrying too much un-necessary weight up the mountain), bring yourself a little treat when for you may need it the most! 9). Stay out of the sun whenever possible. The higher you go up in altitude, the lower the levels of UV Protection you are getting. Some days on Kilimanjaro, the sun can be brutal, giving you solar radiation from its powerful rays. Staying out of the sun is not only good for minimizing those pesky wrinkles and avoiding skin cancer, but it can also improve your chance of summiting. When you get sunburned you become dehydrated, and back to the tip of keeping yourself hydrated, being dehydrated can cause all sorts of problems on the mountain and eventually limiting your chance of success. Of course, when you are walking during the day, there may be no cover from those potent rays, but you need to take as much care as possible to minimize those harsh emissions. The first way to protect yourself if by applying a factor 50 sunblock throughout the day. The mountain is not the place to top up that holiday tan you are hoping to bring back to work with you on your return home, when you get back to Arusha after the climb, you can do as you please, but while on the mountain, you need to block those harmful rays from your skin. The second way of protecting yourself is to always wear your goofy looking, yet extremely important, sun hat. Get yourself a light weight, brimmed sunhat to wear on days when the sun is shining and you will save yourself from some of the dreaded headaches you so adamantly want to avoid. 10). Remember you are on holidays, enjoy yourself! The most important thing to remember is that you are on vacation, relax, have an open mind, and enjoy yourself! There is always a lot of spare time when on a trekking trip like Kilimanjaro. 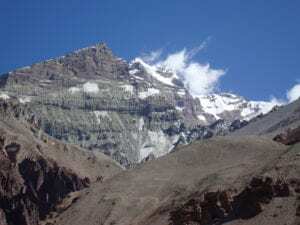 You generally walk anywhere from 4-6 hours a day, with the exception of summit day which is 14 hours, and therefore have plenty of time when you arrive in camp to relax, rest, and have a laugh with your fellow trekkers. It is important to have this time throughout your journey as they help to keep you positive and relaxed, instead of nervous and tense. You also have to keep in mind that you are entering a very different environment than you may be used to when going to Tanzania. Things may not be done in the same manner as you may be used to at home, by no means does this imply that things are done wrong there, however they are just different. You must always keep an open mind and remember the fact that there will be cultural differences along the way and to respect those who are there to help us reach our goals! information you will need on your journey to the top of Africa! 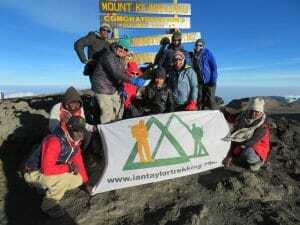 For more information, contact us anytime at info@iantaylortrekking.com Click on this link: All you need to know about climbing Kilimanjaro. 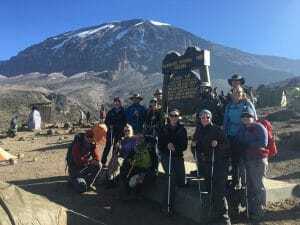 If you like our Top 10 Tips for a Successful Climb of Mt Kilimanjaro why not read more from our BLOG that is getting so much attention. These are just our top 10 Tips for a Successful Climb of Mt Kilimanjaro. We have a wealth of information and experience climbing Kilimanjaro. 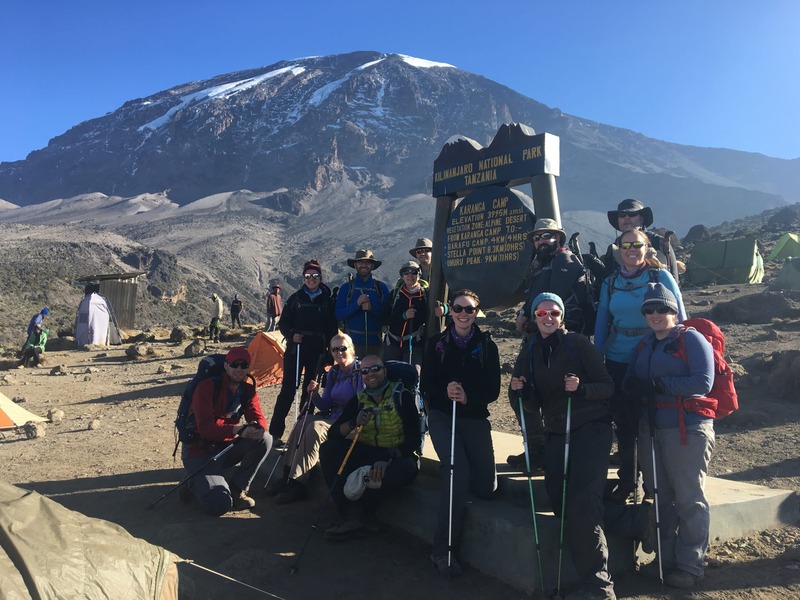 Our office staff have all climbed Kilimanjaro so we can help you gather all the information needed to make a safe and successful ascent of Kilimanjaro. We want all Ian Taylor Trekking climbers to be informed. Our Top 10 Tips for a Successful Climb of Mt Kilimanjaro are here to help but always best to CONTACT US and get the most up to date information on climbing Kilimanjaro. These Top 10 Tips for a Successful Climb of Mt Kilimanjaro are limited to advice. Check out our TOP 50 TIPS for climbing Kilimanjaro. You need to apply serious training to your preparation and we are available to help you be successful.